Hi, I’m Diana and I’m new to Parlour Oceans. When BlackMudPuppy posted the Tiny Tank Challenge on Twitter I decided to join the fun and try something new. I have (redacted) years of experience keeping aquariums but right now I’m down to one: a 125 gallon community tank with live plants. When I decided to accept the the challenge I wanted to try something different. I thought about salt water (which I haven’t done before), brackish water, maybe something for an amphibian. But the challenge has a price limit and the poison dart frogs that I’d really like to try are seriously pricey. Maybe next year. And since small tanks are harder than big tanks I thought I’d be more successful with freshwater, where most of my experience has been. If you Google “planted aquariums” you will find some spectacular tanks. My tank does not look like that. 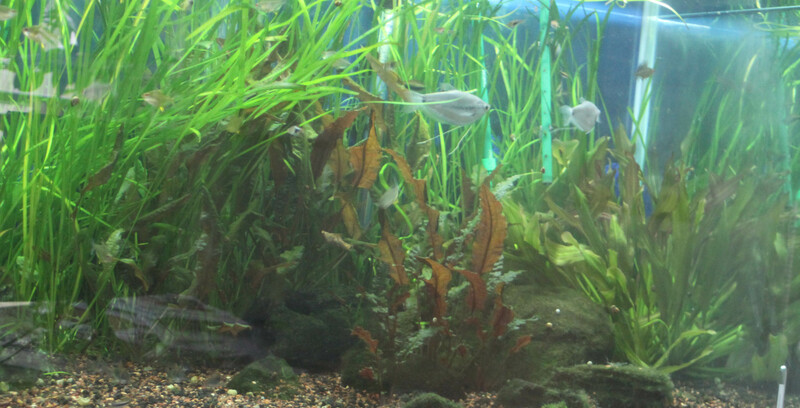 It’s really a community tank with plants. So that’s my Personal Challenge. I plan to device a spectacular scenic planted aquarium. With Shrimp. To date I have bought a 5.5 gallon tank for $13.99, a thermometer for $2.99, and a filter bag for $2.99. I’ve also ordered an in-tank filter for$11.99 and a small heater for $17.59. 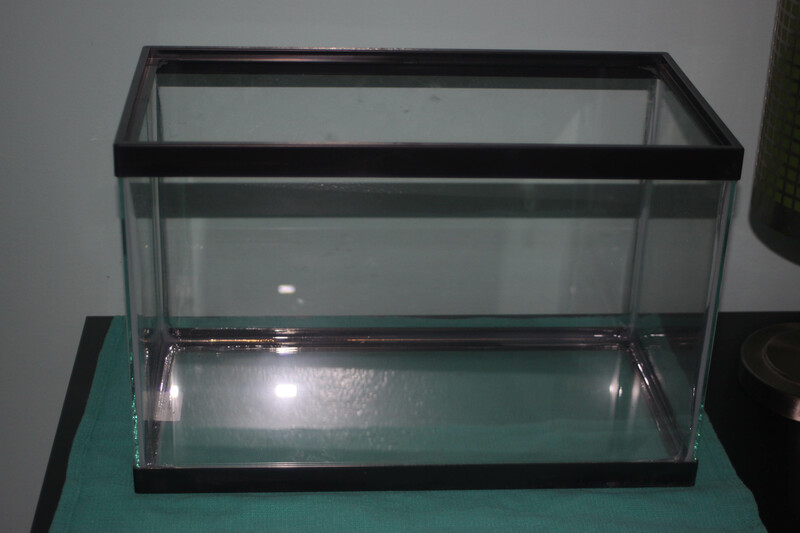 I already have excess substrate, decorations and a hood to finish things off. My biggest concern is my water supply. My tap water is very, very soft (carbonate hardness of around 50 ppm or 3 degrees). This means the pH can change quickly (and, in fact, my tap water pH varies between under 6 and up to nearly 8!). So I plan to add a layer of crushed coral under the plant substrate to help modify the hardness in the Tiny Shrimp Tank. Fingers crossed that this works. Once I get the filter and heater I’ll start cycling the water and getting ready for the plants! Looking forward to seeing how it turns out. Have you considered just putting some crushed coral in a nylon bag inside the filter?